Flight Eleven is your introduction to night flight and includes night flight planning and preflight plus airport and aircraft lighting. You will need a minimum of 3 hours night training including a cross country flight of over 100 nautical miles total distance and at least 10 takeoffs and landings to a full stop. It’s a good idea to do the night cross country training prior to commencing you solo cross country flights as it provides an opportunity to improve your radio navigation skills and familiarizes you with night flight in case you find yourself running out of daylight on a solo flight. You’ll probably need another night training session to do additional takeoffs and landings to satisfy the need for a total of at least ten night takeoffs and landings. In this night cross country flight you make use of the planning skills learned in Flight Eight , practice the en-route procedures introduced in Flight Nine and radio navigation skills introduced in Flight Ten as well as learning new skills specifically related to flying at night. 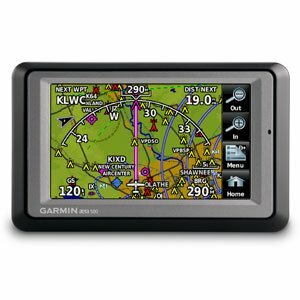 When selecting your destination for the night cross country look for somewhere that can be located using VOR navigation and that has adequate airport lighting. Not all airports or runways are illuminated at night. When looking at your chart you can identify airports with lighting by looking for an L after the figures that indicates length of the longest runway in the data listed under the airport name. If there is an * next to the L it means there is lighting but that lighting limitations exist. To get full details of the lighting at a particular airport refer to the Airport Facility Directory. This will also tell you about the hours of operation of control towers. Many control towers are not open 24 hours and in these cases there will be a star symbol next to the frequency on the chart. The actual hours of operation will be listed on the side of your sectional chart as well as in the Airport Facility Directory. When a tower closes it usually means the airport can still be used but no tower procedures will apply and pilots will announce their intentions on the CTAF. Also take into account the terrain en route and at the airport. Plan on avoiding mountainous terrain and anywhere without potential emergency landing areas. Flight over uninhabited featureless terrain can also be a problem from a navigational perspective and if the night is really dark or hazy you may have trouble identifying the horizon which can lead to spatial disorientation. When plotting your course plan a route that can be identified by radio navigation and along which there are features that you think you will be able to identify at night such as airports with rotating beacons or cities and highways where you anticipate seeing lights on the ground. When marking your course on you chart make a distinct black line that will be visible even in a dimly lit cockpit. Take particular care when planning to make a note of the frequencies you will need and to plan the altitudes you intend to fly in the context of terrain and airspace along your route of flight. Remember in the dim red light of the cockpit you may find it difficult to see some colors on the chart and to read frequencies etc. Make an easily readable note of all the critical information you will need in advance in addition to all the usual flight planning tasks covered in Flight Eight. The importance of obtaining good weather information is magnified at night. Any indication of marginal weather conditions should result in an automatic no go decision. Also pay particular attention to the temperature and dewpoint spread because of the possibility of the formation of ground fog at night when these numbers get close together. You also need to pay close attention to NOTAMS to ensure that navigation aids or runway lights you are depending on are not listed as being out of service. Your night preflight starts with yourself. Are you healthy and well rested? Don’t start a night flight if you are already exhausted after a long day at work or feeling unwell. Night vision and concentration can easily be impaired by fatigue. Before you look at the airplane decide if you are personally ok to fly. The preflight inspection of the airplane is routine expect that you need to verify all your lights are working. This means turning on the master switch and all the lights. Do this first before any of the other preflight items so you don’t waste your time doing the whole preflight if a required light is not working. Also by checking the lights first you give your eyes more time to readjust to the dark prior to taking off. Avoid looking directly at strobes and landing lights immediately before flight as it can take about 30 minutes for your eyes to adjust back to maximum efficiency after exposure to bright light. Try closing one eye if exposed to bright light to reduce the blinding effect. The lights you need for night flight include anti-collision lights which on most trainers consist of a flashing or rotating beacon or strobe lights, position lights which consist of a white light on the tail, a green light on the right wing and a red light on the left wing and you also need landing light. Technically a landing light is only required if the airplane is operated for hire but most pilots would not consider flying at night without one even if not required. Landing lights are important to enable other pilots to see and avoid your airplane as well as to help you see the runway. The FARs also require that you have an adequate source of electrical energy which in most airplanes means a battery and alternator as well as spare fuses (although push to reset circuit breakers are often used instead of fuses). In addition to checking the exterior lights be sure to check that the cockpit lighting is working. You need to be able to see your instruments at night so it’s essential the cockpit lighting is functioning correctly. This lighting is often red and can come from a flood light or back panel or post lighting depending on the airplane being used. Often the interior lighting is linked to a dimmer switch to allow adjustment to suit specific flight conditions. In general set your cockpit lights on the dimmest setting that allows you to easily read all your instruments. If you set them too bright your night vision will be impaired making it harder to see objects outside. In addition to the airplane’s interior and exterior lights you will need to have two flashlights on board. These should have good batteries and preferably emit red light. Be sure to test your flashlights as part of your preflight. The moment your instrument lights quit is not the time you want to discover your flashlight batteries are dead. For a night flight be sure to carefully organize your charts, navigation log etc so that everything can be easily located during your flight. A good kneeboard will make it easier to organize these items. These night preflight items should be completed in addition to your usual preflight inspection. Before you set off on your first night flight you need to become familiar with at least the basics of airport lighting. At night the location of an airport is indicated by a rotating beacon. Civilian land airports use alternating white and green lights. Military airports use dual peaked white flashes between green flashes. These beacons may also be illuminated during the day when weather is below VFR minimums. Runways are lit with a row of white lights along each side of the runway. At some airports you can control these lights by clicking your mike on a particular frequency. The runway threshold is usually indicated by a row of green lights which when viewed from the other direction would appear red indicating the end of the runway. There may also be high intensity strobe lights on each side of the runway that identify the threshold which are known as Runway End Identifier Lights (REILs). Taxiways are identified at night by blue lights which are visible in all directions. The other common type of visual glideslope indicator is the Precision Approach Path Indicator (PAPI). This consists of four (or two) lights side by side in a single row. When on the glideslope the left two (or one) lights appear white and the right two (or one) appear red. If high above the slope all the lights will appear white and if low below glideslope all the lights will appear red. During your night time final approaches whenever visual glideslope indicators are provided be sure to stay on or slightly above the glideslope. At night it is particularly important that the anti collision lights are turned on prior to engine start to provide a visual indication that the engine is about to be started. On most trainers this means turning on the rotating beacon. Also turn on your position lights. Take extra care to ensure the propeller area is clear prior to engine start by shouting “clear prop” and looking outside. When taxiing use the taxi light if you have one or if not use the landing light. Follow the yellow lines and do not cut corners. If you come across another aircraft while taxiing try not to dazzle the other pilot with your landing light or strobe lights. You may momentarily turn these off when in close proximity of other aircraft on the ground to avoid blinding the other pilot with your bright lights. When you stop to do your pre takeoff check be sure to firmly apply the brakes as at night it is harder to detect if the airplane starts to move during the run up. Having completed the normal before takeoff checks departure at night is very similar to the daytime procedure except that more emphasis is placed on the flight instruments. On takeoff use a combination of outside visual references and the attitude indicator to maintain the correct pitch on departure. Monitor your airspeed indicator to ensure you maintain the best rate of climb (Vy) airspeed during climb out. The absence of good outside visual references at night can lead to spatial disorientation which means you need to pay additional attention to your flight instruments at night. At night it makes sense to select higher cruise altitudes than during the day. Higher altitudes provide better terrain clearance and provide additional glide range in the event of an engine failure. Higher altitudes also provide better reception of radio navigation signals. However unless you have a supplemental oxygen supply you should try to avoid planning night flights above 10,000 feet since at higher altitudes your night vision will deteriorate in the absence of supplemental oxygen. One advantage of night flight is that is often easier to see and avoid other aircraft at night. A well lit airplane is relatively easy to spot against the dark background of the night sky. Likewise a well lit airport can be easy to spot. However both aircraft and airports become harder to find amongst the clutter of lights in major urban areas. You should be able to determine your position relative to other aircraft by interpreting the color of their position lights. At night you need to be vigilant for deteriorating visibility. It is easy to inadvertently fly into clouds or fog. If lights begin to appear to “glow” or have a halo effect around them you may be entering an area of reduced visibility. Be prepared to reverse course anytime you think visibility may be deteriorating. 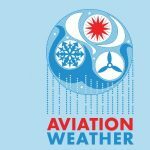 Do not even think about flying VFR at night in marginal VFR weather. If the weather deteriorates en route immediately divert to find better weather or land while you can still maintain good VFR conditions. To scan for traffic at night move your eyes slowly and look at small sections of the sky. Try to resist fixating on one spot and use off center viewing to improve your vision. If you fixate on one spot it can appear to move on its own due to the illusion of autokinesis. Another potential night vision problem in night myopia. In the absence of visual references your eyes will become focused on a point in space only about 6 feet ahead of you making it hard to see more distant objects. To avoid myopia seek more distant light sources to focus on. If your destination does not have an operating control tower you may need to manually activate the airport lights by radio. This is usually done using the CTAF frequency by keying your mike several times within a period of 5 seconds. The common three step system requires that you key your mike 7 times to activate the lights at maximum intensity. Or 5 times for medium intensity or 3 times for low intensity. The Airport Facility Directory provides details of the lighting system at each airport. Once activated most airport lights will stay illuminated for 15 minutes before turning off automatically. It’s a very satisfying feeling to key your mike five times and have airport appear out of the darkness. At airports where the tower is operational at night the lighting is usually controlled by the tower. Arrival procedures at night are basically the same as during the day except you will need to pay more attention to your glideslope, airspeed and altitude. There is a tendency to fly faster than necessary at night so use your instruments to maintain normal approach speeds. The lack of outside visual references at night makes landing more challenging as you will have a harder time judging your height above the runway timing the flare correctly. Often student pilots will start to flare too high at night resulting in hard landings. Do not start to flare until you can see your landing light clearly illuminating the surface of the runway. Take your time and gradually flare as you would during the day maintaining a nose high attitude at touchdown. Be careful to maintain alignment with the center line while you do this. For pilots of single engine airplanes emergencies at night are potentially more hazardous than when the same situation occurs in daylight. In the event of a night time engine failure the single engine pilot is very badly placed unless the flight has been planned with this possibility in mind. Selecting a higher cruise altitude than during the day will increase glide range and provide extra time for troubleshooting and to reach a suitable landing area. Planning a route of flight that avoids difficult terrain and that passes over airports will increase the chances of making a successful emergency landing. The same emergency procedures are followed at night as during the day but at night locating a suitable landing area is more challenging. In the event of an engine failure at night turn towards an airport if there is one within glide range or away from congested areas in the absence of an airport. As in all emergency situations maintain control of the airplane. Even if landing off airport at night you can survive if you maintain control and keep the airplane flying. Don’t allow the airplane to get so slow that you stall. It will take a while to acclimatize to flying at night and this night cross country will just get you started. Expect to fly a subsequent session with your instructor to practice more night takeoffs and landings. In many countries private pilots are not routinely certified to fly at night and this is an area in which the FAA provides considerable privileges in relation to the relatively small night training requirement. Once you obtain your private pilot certificate proceed cautiously at night. A disproportionate number of accidents occur at night so plan carefully and be very conservative with your go/no go decisions at night.